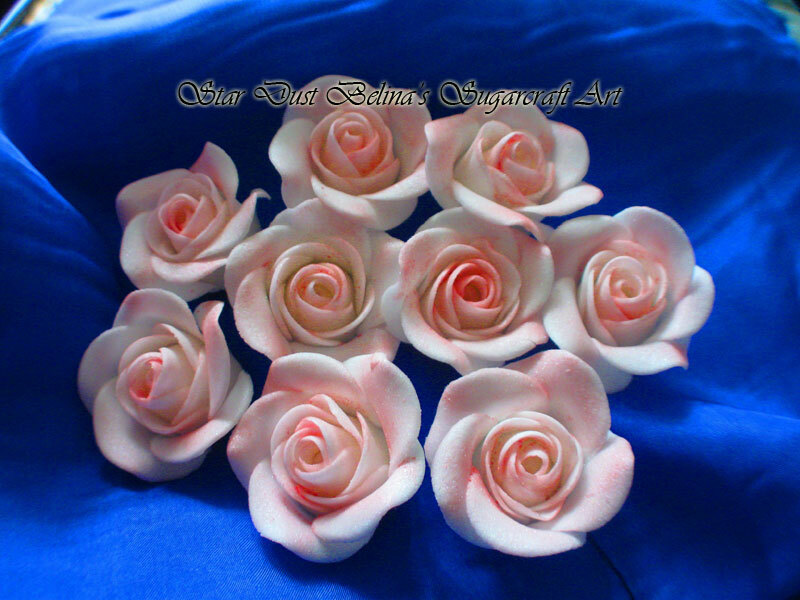 Box of 12 medium White roses airbrushed with pink. Approx. 35mm at top. Use with other size roses to create beautiful cake decorations and bouquets.